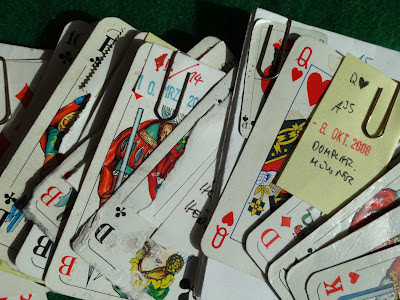 My sporadic search for ground cards took me from Muenster to Alabama and from Mexico City to Heilbronn. 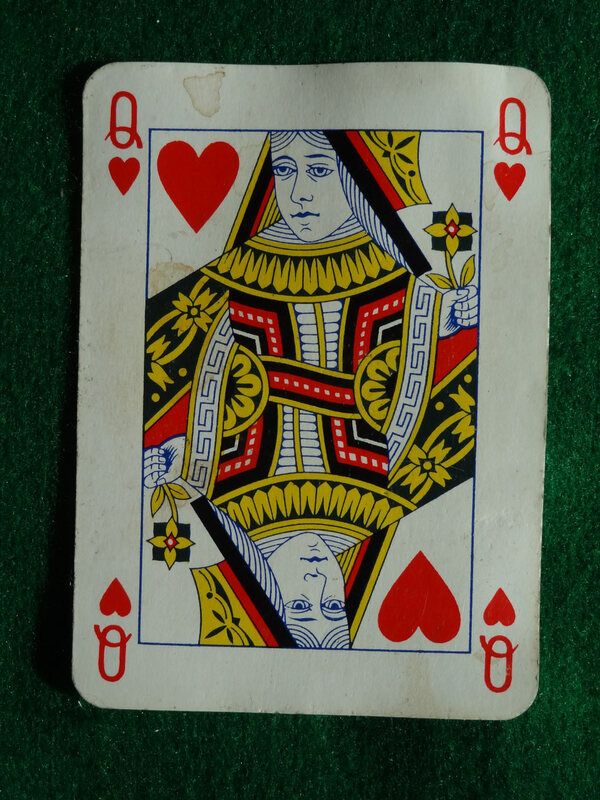 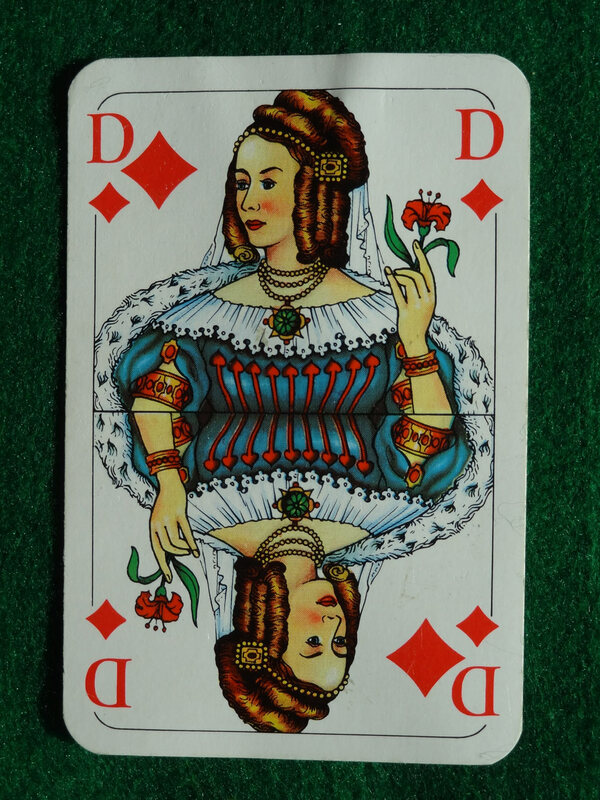 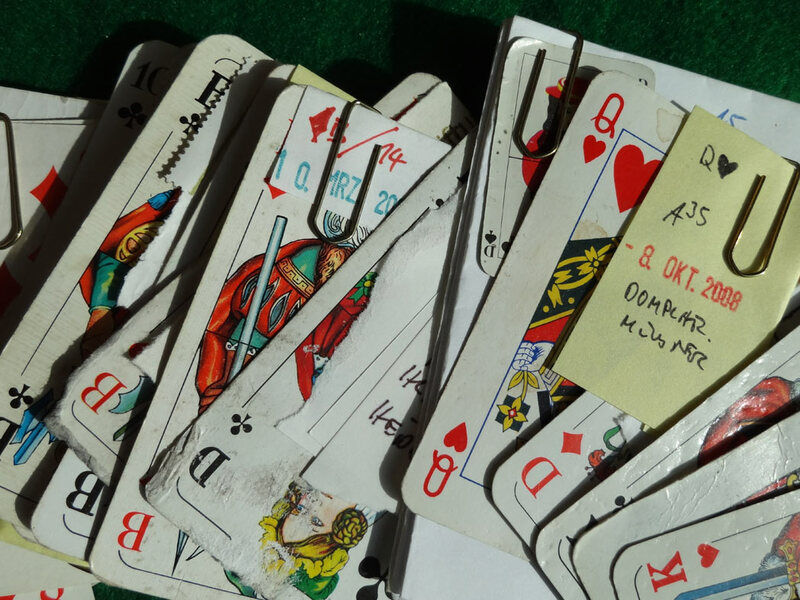 Many queens and jacks of hearts found their way into my collection of ground cards, plus# all the aces – it's just hampered by the nine of clubs. 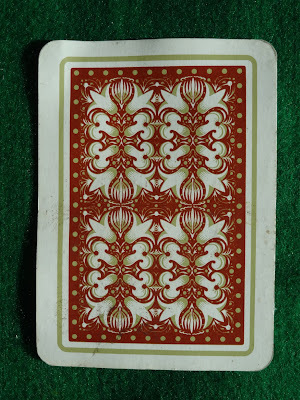 I even started six different decks with the ground cards I've found. 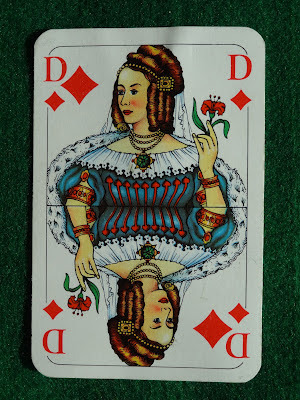 And now, in 2012, I hope to find the much sought-after nine of clubs somewhere on the ground to finalise my first deck of cards. 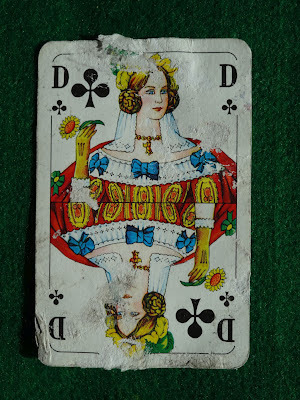 That is why my search for the nine of clubs will dominate my views on the ground and my speculative collections of lost items that wait to be discovered in public and semi-public places. 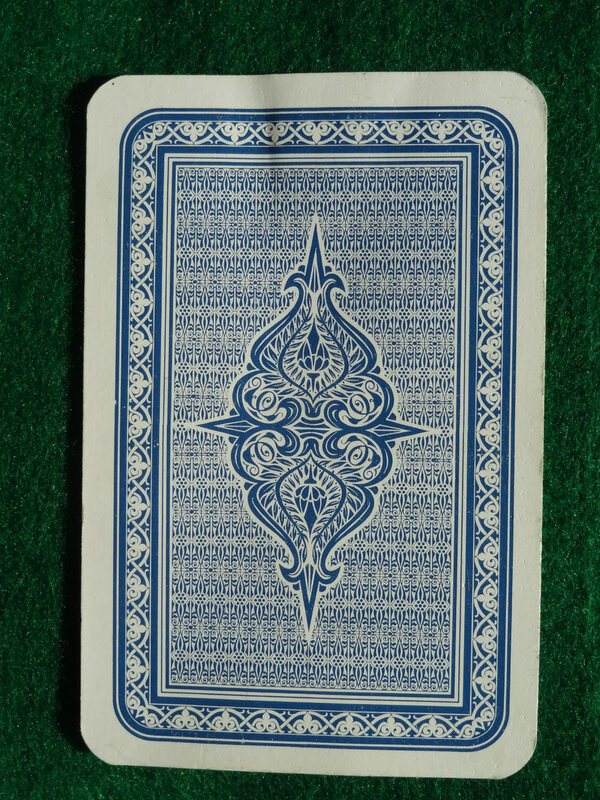 The gaming season is opened! From time to time you will find here some ground level explanations from the bottom of my inner constraint to find the missing 32nd card.